Dresses are always one of the best solutions to solve a lazy day slump. You just slip it on, pile on a bunch of accessories and you’re good to go! Just make sure you select a simple dress. Think of it as a blank canvas so that you’re free to style it however you want. 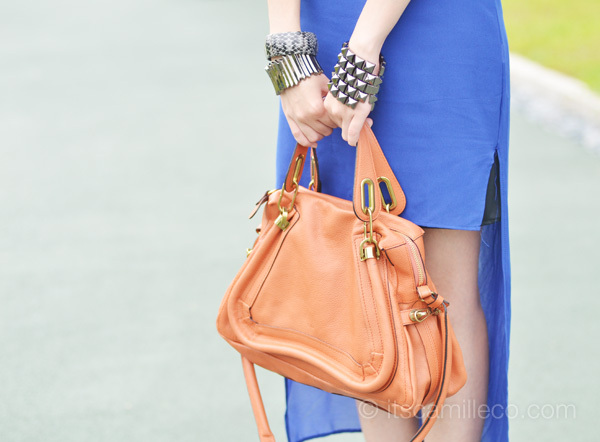 In my case, I chose this blue chiffon dress that I got from Closet Goddess. It’s so soft and light which makes it perfect for the hot weather. The only problem is, it’s sheer all the way! If you’re a little conservative like me or you need to go some place where eyebrows will raise once they see your underwear through sheer fabric, wear a slip inside. Problem solved! Since the hem of my dress is designed high and low, it’s easy to look edgy and modern. With the addition of my snakeskin + metallic high-cut booties and silver necklaces that feel like they weigh a ton, I’ve managed to turn my lazy day slump around. I love your shoes! I wish I could carry them perfectly like you do! Hello! C: Just wanna ask, what kind of slip did you wear? So, your underwear wont be obvious on a sheer fabric? Thanks! I’m sooo obsessed with those shoes! I love this look! One would really never go wrong when he mixes brown and blue together! It’s a combination that outlasts seasons! Aww, and chiffon really is a comfortable material. It’s super light and flowy! P.S. 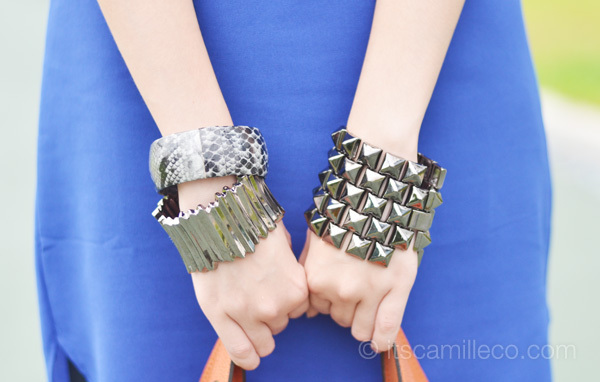 Ate Camille! I am lusting over a jacket right now I saw at a dance cover video. I want to make “patahi” it but I do not know which material was used! I love how the white jackets the girls are wearing are flowy, but I don’t want to use chiffon because as I have said, it’s light and I think it’s not jacket material. Below is the url of the video, can you please check it out for a while and tell me what you think the material of the jackets is? PLEASE? Thank you in advance! It’s like leatherette or lame or rubberized fabric. :) Thanks Mers! The bag is the coolest ! aHAhh ! Hahaha yes you got it! ELLE VOX | GIVEAWAY! Win an INPINK giftcard! O my! I love your skin,dress,accessories and everything! :) Youre so MAGANDA ! Haha I don’t know. My mom’s genes are my secret! Shift dresses are great for hiding flaws!!! :) Thanks Trisha! Superbe look ! J adore ! I want so badly these shoes!! I will call this the “bow” look. With those necklaces, it’s impossible na hindi ka mapa-bow sa bigat. haha! Yeah! I saw it na before :) Ang galing! 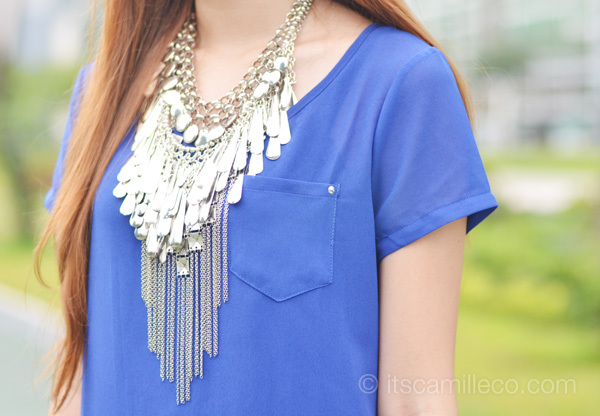 i love the way you layer your necklaces in almost every outfit post, camille!